The Citroën Traction Avant) is an automobile which was produced by the French manufacturer Citroen from 1934 to 1957. About 760,000 units were produced. The Traction Avant, French for "front wheel drive", was designed by Andre Lefebure and Flaminio Bertoni in late 1933 / early 1934. While not the first production front wheel drive car – Alvis built the 1928 FWD in the UK, Cord produced the L29 from 1929 to 1932 in the United States and DKW the F1 in 1931 in Germany – it was the world's first front-wheel drive steel monocoque production car. Along with DKWs 1930s models, the Traction successfully pioneered front-wheel drive on the European mass car market. The Traction Avant's structure was a welded monocoque (unitized body). Most other cars of the era were based on a separate frame (chassis) onto which the non-structural body ("coach work") was built. Monocoque construction (also called Unit Body or "Unibody" in the US today) results in a lighter vehicle, and is now used for virtually all car construction, although bodey-on-frame construction remains suitable for larger vehicles such as trucks. The suspension was very advanced for the car's era. The front wheels were independetly sprung, using a torsion bar and wishbone suspension arrangement, where most contemporaries used live axle and cart-type leaf spring designs. The rear suspension was a simple steel beam axle and a Panhard rod, trailing arms and torsion bars attached to a 3-inch (76 mm) steel tube, which in turn was bolted to the monocoque. In addition to 11CV the Citroen Traction was also called the 7CV and the 15CV. 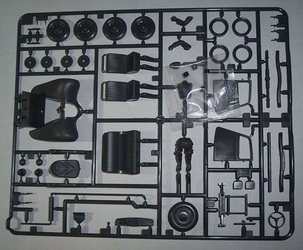 Tamiya is a prolific model company based in Japan. The kit comes in a shrink-wrapped tray and lid type box. 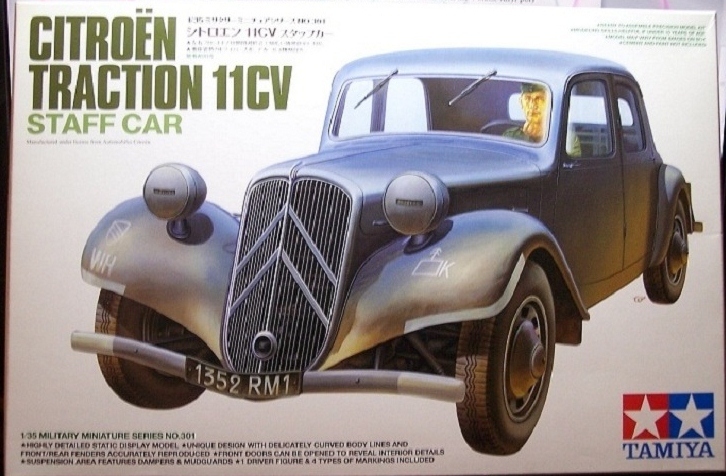 The box art shows the Citroen Traction 11CV posed against an all white background (which is Tamiya’s usual way of doing box arts). The car is in overall German gray with white insignia on the fenders for a vehicle with the 1352nd RM1: Engineering Company, 112th Infantry Division, Wehrmacht, Eastern Front. The edges of the front and rear fenders are edged in white and the ends of front and rear bumpers. These are formation markings for convoys. Unique design with delicately curved body lines and front/rear fenders accurately produced. Front doors can be opened to reveal interior details. Suspension area features dampers and mudguards. One driver figure and 4 types of markings included. Ready to assemble precision model kit. Modeling skills helpful if below 10 years of age. Model may vary from images on box. Cement and paint not included. A 3-view color illustration on one side panel of the box shows a Citroen with the French Army early in WWII. It is overall olive green with the license plate number L392506 next to a small French tri-color flag. There is a paragraph next to this all in Japanese and mention that the kit was made in the Phillipines. Tamiya’s web address is here also and a copyright date of 2009. 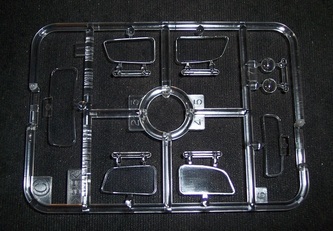 The other side panel of the box has 3 color photos of the model made up in the box art scheme. Another paragraph is there, again in Japanese next to Tamiya’s street address in Japan. First impression when opening the box is that it is somewhat blousy inside. The box could have been shorter in length for one thing. The kit holds one large dark gray and one small one. A cardboard partition at one end of the box holds the single body shell part. 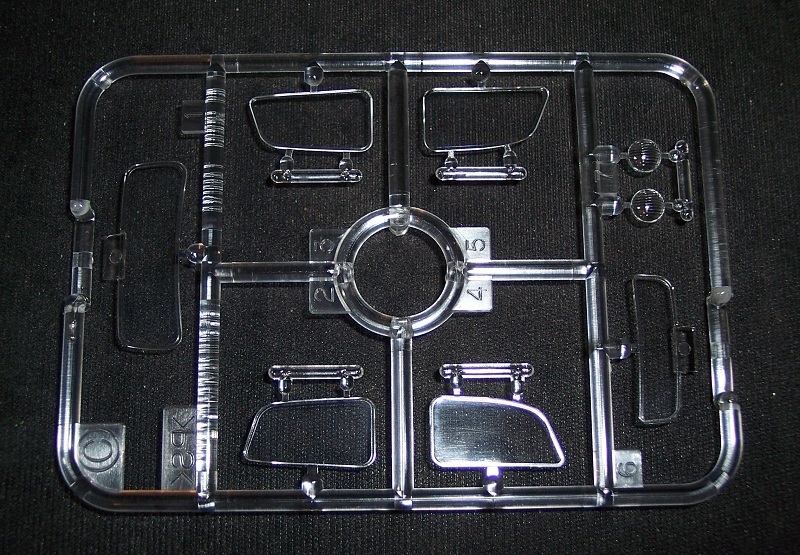 There is a tree of clear parts in the kit , the decal sheet and the instructions. The parts trees , body shell part and decal sheet are all in individual stapled shut cello bags. There is a small sheet that has patterns printed on it to use to cut masking tape masks to put over the window parts to mask them when spray painting the model. 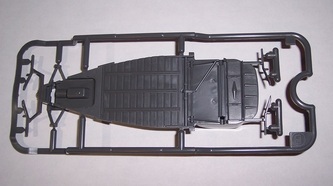 A small stapled shut cello inside the cello with the largest parts tree holds 4 black vinyl poly caps to use to hold the wheels on the model. 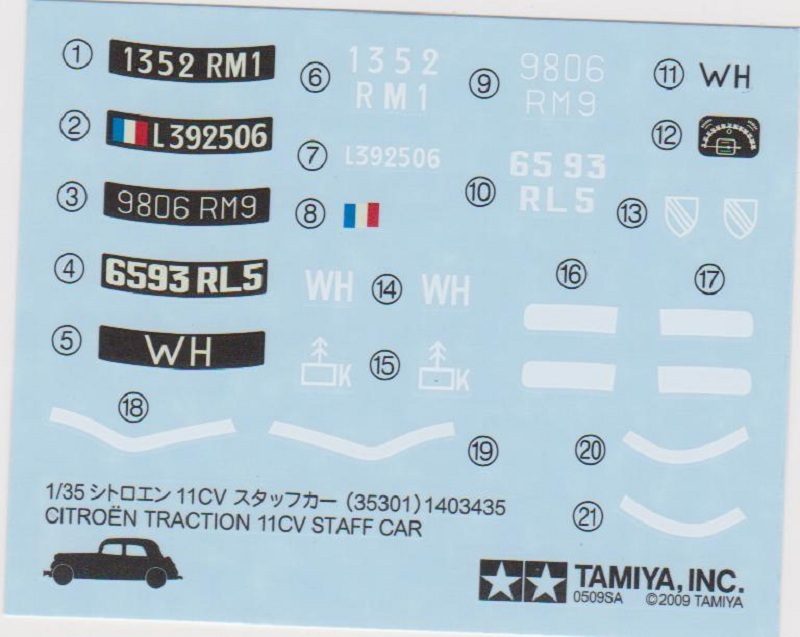 The decal sheet has a frosted paper sheet on it’s face to protect it from scratching and includes dashboard dials as well as unit markings. Printed on the bottom of the box tray is “important information concerning this kit” in 13 different languages including English. These are pretty much general instructions. At the bottom of this is Tamiya’s address for their branch in Germany. The instructions consist of a single sheet that accordion folds out into 6 pages in 6 ¾” x 10 ¼” page format. Page one begins with a black and white photo of the model made up in the markings of the box art. Below this is one paragraph histories of the Citroen 11CV in 8 languages including English. The 2009 copyright date for the kit appears again here. Page 2 to the top of page 5 give a balance of a total of 8 assembly step drawings. The bottom of page 5 has painting instructions and two 3-view illustrations of schemes for the car. The first one is a the box art scheme. Already described above. The second one is the French Army one on the side panel of the box. Described above. Page 6 begins with three more painting and marking schemes. Two of these are 3-views and one is a 2-view illustration. The third scheme is for a French civilian vehicle, France WWII. It has the license number 9806 RM9. It is painted in overall black. The fourth scheme is for a vehicle with an unknown wehrmacht unit. It has a light blue top and black fenders. The license number only has WH on it. The fifth and final scheme is for a French civilian car in the same color scheme as the fourth scheme. It has the license number 6593 RL5. Below these illustrations is the decal application instructions in 4 languages including English and “after market” service instructions. 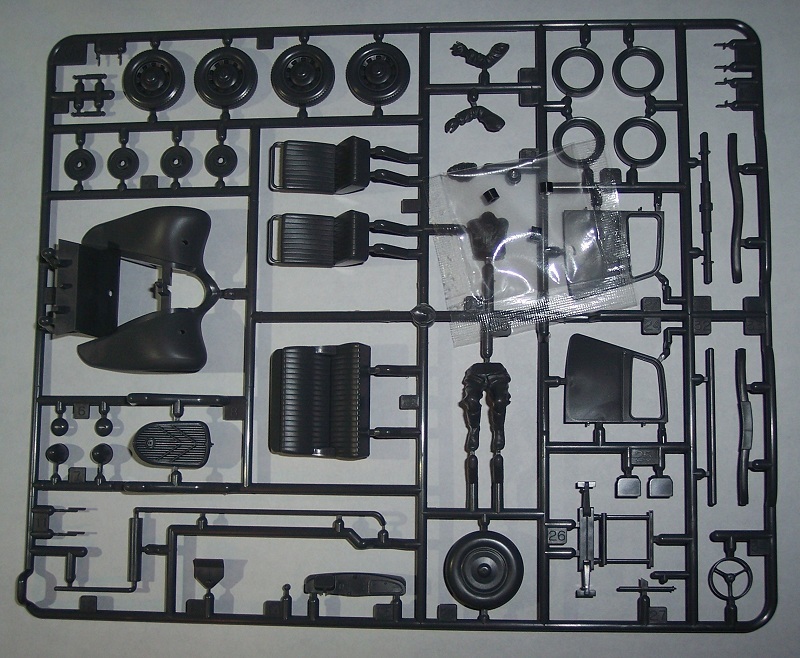 The large dark gray parts tree (letter A) holds: tires, seats, front fenders, front doors, suspension parts, radiator, steering wheel, door handles (tiny), driver figure, wiper blades, head lights, dashboard, license plates etc. The driver figure is divided into separate head, torso, arms and lower body half. Inside the cello with this part tree is the small cell with the 4 black vinyl poly caps in it. Small dark gray part tree (letter B) is the single chassis/floor part. The final dark gray part is the upper body shell. 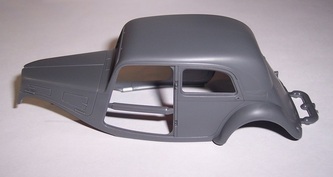 The rear doors of the car are molded solid. There are no engine parts except for the bottom oil pan molded into the chassis part. There is no separate gear shift or floor pedals. The gear shift is molded into the dashboard, but it is too small and too short. 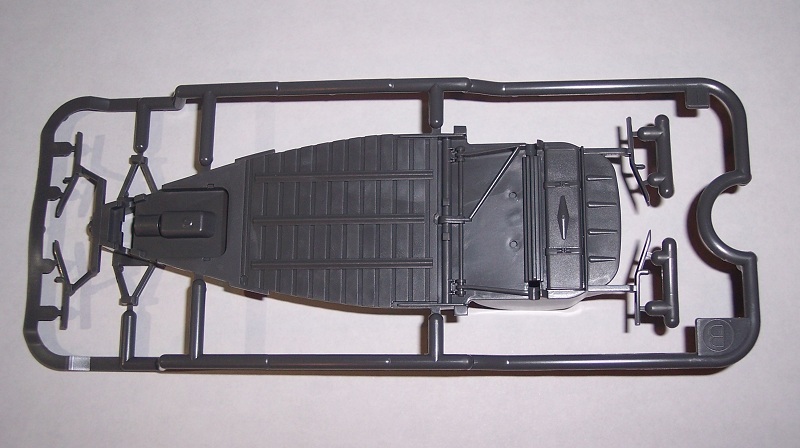 The three footpedals are also molded in as tiny lumps. The gear shift and pedals should have been separate parts, along with the rear doors. In a kit at this price with only 62 total parts these other items should have been included. I recommend this kit to modelers of average modeling skills. It is a simple build and few parts. It can probably be assembled in one sitting. The kit is courtesy of my wallet.